FOR RENT......SHORT-TERM OR LONG-TERM AVAILABLE ! RENOVATED IN 2016!...Spacious, Brick Colonial with approx. 6,270 sf (per tax records) designed for Grand Entertaining. 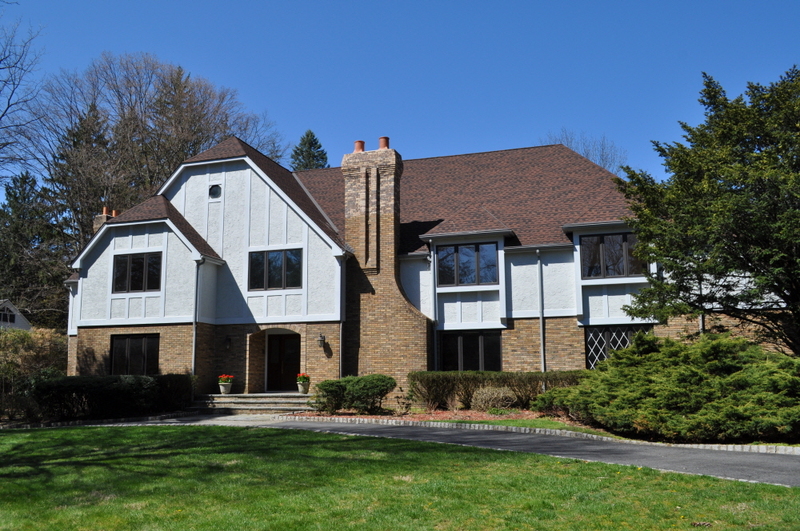 This fabulous estate offers 6 Bedrooms/5.5 Baths (updated in 2016!) and features a sun drenched, updated eat-in Kitchen (also updated in 2016!) with S/S Appliances opening to Paver Patio overlooking bucolic 2+ acre, level property! Great Room with FPL and vaulted dome ceiling also opens to Paver Patio (and adjacent to kitchen). Large Living Room & Dining Room (w/FPL) featuring Mahogany inlay floors. MBR Suite with Sitting Room (w/FPL), updated MBA and HUGE Walk-in-closet. 5 additional Bedrooms (2 en-suite). 9' Ceilings. 4 Fireplaces. 2 Staircases. Hardwood floors throughout. Circular Drive with 3-Car Garage (on main level !). [Tenant responsible for all utilities, lawn maintenance, snow removal and first $200 of each repair. Tenant must have renter's insurance.] This one will go fast!! !